Our sanitising services and dry steam cleaning services are ideally suited for commercial kitchens, clinical facilities and leisure services. Sanitising services are effective against bacteria such as MRSA, viruses such as Hepatitis B and HIV, fungi, algae and mildew. The high pressured dry steam cleaning machine is designed to tackle build up areas of grease and grime. Its precision nozzle makes light work of those hard to reach areas. 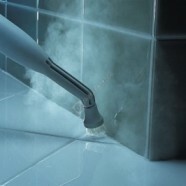 The chemicals in conjunction with the dry steam cleaner are effective in tackling bacteria such as MRSA, viruses such as Hepatitis B and HIV, fungi, algae and mildew, ensuring that commercial kitchens, clinical facilities and leisure services maintain a high standard of hygiene for their staff and customers and, therefore, meet health and safety requirements. Interested in Commercial Sanitising Services?